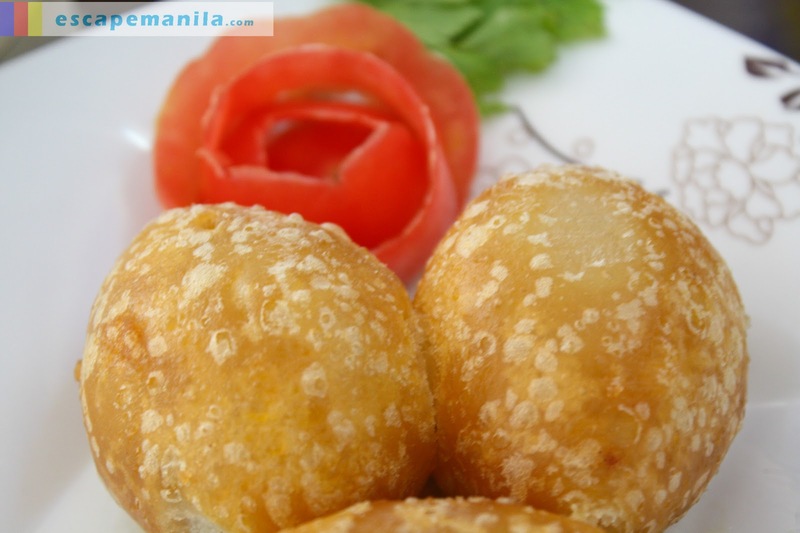 When I crave for authentic Chinese food, I always think of Binondo. I never thought that a restaurant in Davao is actually offering authentic Chinese cuisine right at the heart of the city. Chef Lu offers Hong Kong style dishes at an affordable prices. Chef Lu was our first stop during the 3rd day of DFAT 2013. They prepared their house favorites for us to taste. Here’s the mouth-watering dishes we ate during our visit at Chef Lu Restaurant. It is basically made from glutinous rice flour, shredded pork, dried mushroom, dried shtrimps and preserved radish and spring onions. The dough is soft and chewy and the filling is tasty. This dish is made up of egg noodles and contains shallots, dried shrimps, black beans, fried pig skin, ground pork and secret spices. One of my favorite dish during our visit. It’s tasty and spicy. It has a totally different taste from the usual noodles I usually eat. 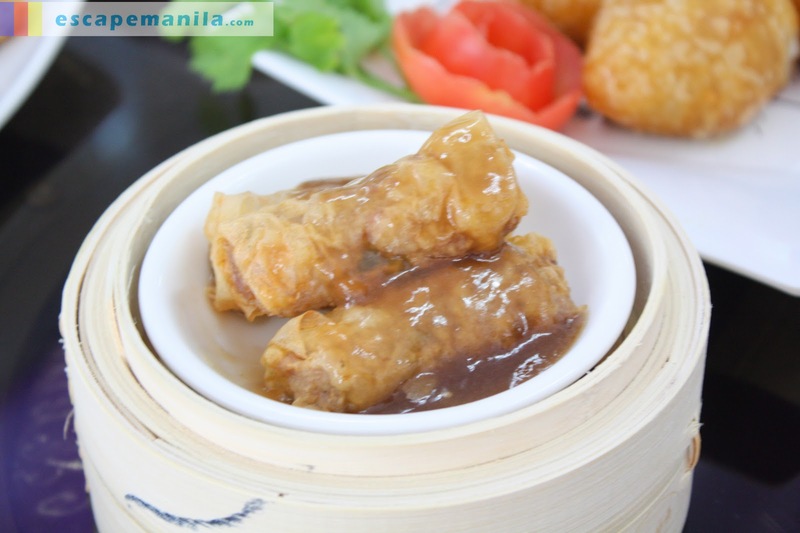 Bean Curd Roll is also known as Oyster Sauce Fresh Bamboo Roll. It contains pork, bamboo shoots and mushrooms. It is basically wrapped in bean curd skin. It is paired with an oyster sauce to enhance the taste. 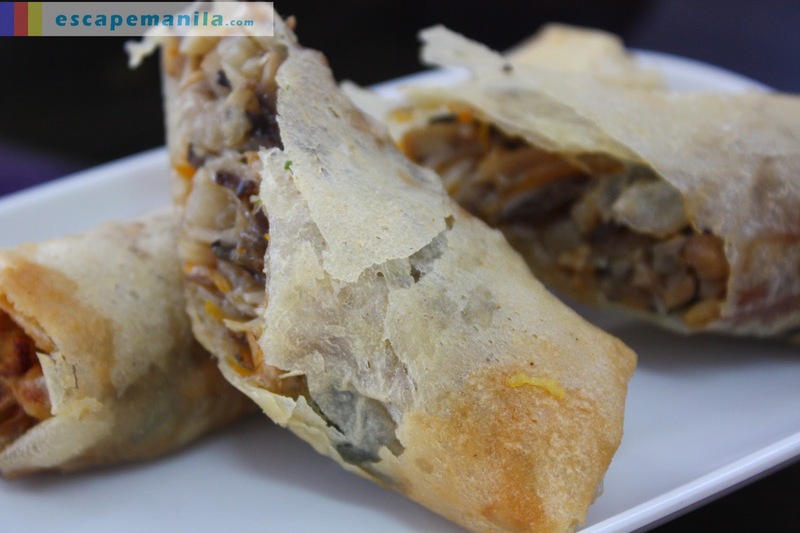 This vegetarian spring roll contains different type of vegetables like carrots, mushroom, bean yam, bean curd, bamboo shoots and bean sprout. This dish ideal for the health conscious people. 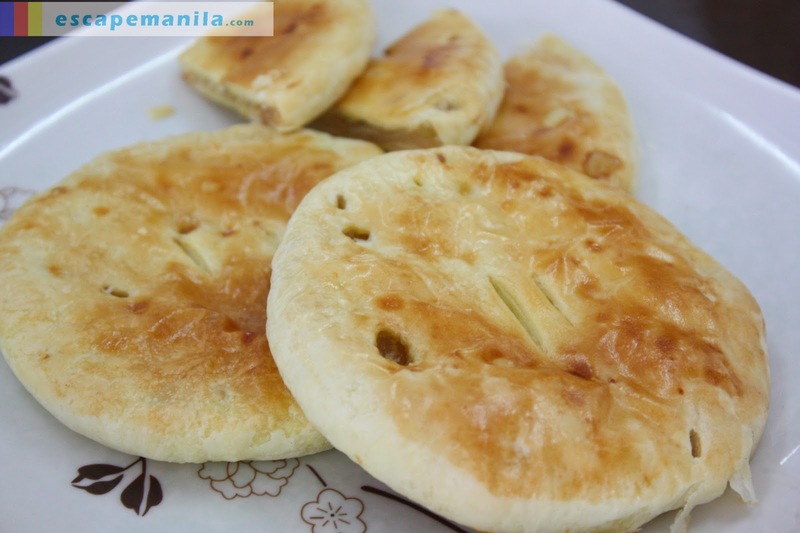 This hopia is made up of wintermelon (kundol) and it tastes really good.